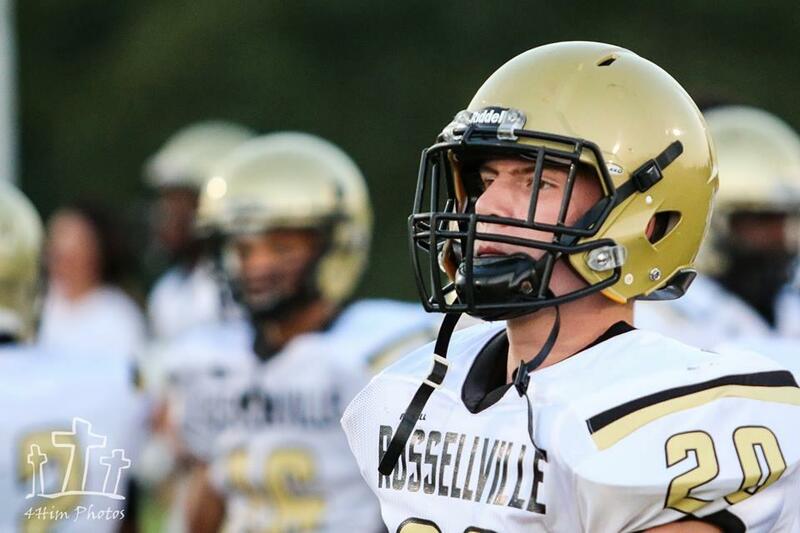 Bouncing back in a big way, the Russellville Panthers won 28-3 at Fort Campbell Friday, the program’s sixth straight win over a team that for many years was their most formidable foe. Senior Edward Barber led RHS with 88 rushing yards and three touchdowns on 14 carries, along with seven tackles, five of them solos. He also caught a pass. Quarterback Jacob Naylor played a big role on both sides of the ball, too. He scored the game’s first touchdown on a 37-yard run. In the third quarter, he recovered a muffed Falcon punt at the home team’s five-yard line, and Barber scored three plays later. Naylor was 5 for 13 passing for 31 yards, and four of his five tackles were solos, one of them for a FCHS loss. Chevis Elliott contributed in multiple ways. He rushed for 34 yards on 6 carries and not only duplicated Barber’s five solos and seven total tackles, but he also pulled in an interception and made a tackle for a loss. Lennon Ries joined Barber and Elliott with a team-leading seven tackles, and completed a pass and caught one. Xavier Coleman was the leading receiver with a pair of catches for 24 yards, and three of his tackles were solos. Additionally, he intercepted a Falcon pass. Other defensive leaders were Robert Barnett and Kyran Williams. On offense, Ryan Flores carried the ball on four snaps for 20 yards and caught a pass. Catching a pass was Jackson Hampton. After recording his first victory as head coach, Mikie Benton and his Panthers will entertain Butler County Friday in their home opener. The first game at Rhea Stadium each season is now known as the Linton-Wren Kickoff Classic in memory of long-time assistant coaches Buddy Linton and Howard Wren. Butler County (0-2) has been outscored 93-8 to start the season.